Based on experimental research, crop yield responses to climate change vary widely, depending upon species and cultivar; soil properties; pests, and pathogens; the direct effects of carbon dioxide (CO2) on plants; and interactions between CO2, air temperature, water stress, mineral nutrition, air quality, and adaptive responses. Even though increased CO2 concentration can stimulate crop growth and yield, that benefit may not always overcome the adverse effects of excessive heat and drought. Assessments indicate that yields of some crops in tropical locations would decrease generally with even minimal increases in temperature, because such crops are near their maximum temperature tolerance and dryland / rainfed agriculture predominates. Where there is also a large decrease in rainfall, tropical crop yields would be even more adversely affected. Most global and regional economic studies not incorporating climate change indicate that the downward trend in global real commodity prices in the 20th century is likely to continue into the 21st, although confidence in these predictions decreases farther into the future. Economic modelling assessments indicate that impacts of climate change on agricultural production and prices are estimated to result in small percentage changes in global income, with larger increases in more developed regions and smaller increases or declines in developing regions. Most studies indicate that global mean annual temperature increases of a few °C or greater would prompt food prices to increase due to a slowing in the expansion of global food supply relative to growth in global food demand. Agroindustry is considered to be among the more adaptable industries affected by climate change. Brown and Rosenberg (1996) and Brown et al. (1998) were able to show, for example, that growing switch grass (Panicum virgatum) for biomass is an effective adaptation in the warmer, drier climates expected in central North America under climate change. Chapter 5 also describes agriculture as adaptable and discusses adaptive responses. However, the capacity to adapt varies significantly among regions and among groups of farmers within regions. Adaptability and sustainability of agriculture and agroindustry depend not only on resources such as favourable climate, water, soils, and amount of land but also on the adaptability of whole market chains, which in turn are influenced by wealth levels, technical and financial sophistication, and institutional flexibility and strength (Tweeten, 1995; Nellis, 1996). The 2001 assessment shows that, although since the 1995 IPCC assessment it has been known that low latitude regions (regions already near the limit of heat tolerance to crops) and Africa will be more vulnerable to global climate change. As stated in the 2007 assessment the 2001 assessment reported that Modelling studies suggest crop yield losses with minimal warming in the tropics. • Mid- to high-latitude crops benefit from a small amount of warming (about +2°C) but plant health declines with additional warming. ​​​ It was not till the last 2007 assessment that the IPCC recognized that the CO2 benefit to temperate region crops would at best be modest and brief, and that world food output was threatened at small increases. The 2001 assessment shows the naive assumption that agribusiness in the wealthy temperate regions would be able to adapt to global wand climate change. 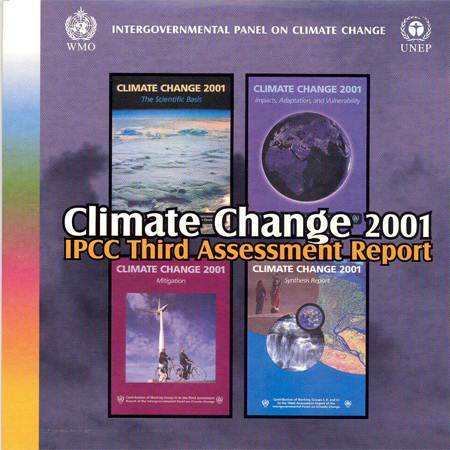 The 2001 IPCC assessment is by no means out of date with respect to known global warming and climate change damages to food production. In some respects it is clearer that the IPCC 2007 AR4 on food security. Mid-high latitude crops ​​are in trouble at a warming 1.0C. Human production factors notwithstanding, food production is influenced mostly by the availability of water and nutrients, as well as by temperature. Increases in temperature could open new areas to cultivation, but they also could increase the risk of heat or drought stress in other areas. Livestock (e.g., cattle, swine, and poultry) are all susceptible to heat stress and drought. The effects of climatic changes-even smooth trends-will not be uniform in space or time. F​​or smoothly evolving climatic scenarios, recent literature tends to project that high latitudes may experience increases in productivity for global warming up to a 1°C increase, depending on crop type, growing season, changes in temperature regimes, and seasonality of precipitation. ​​In the tropics and subtropics-where some crops already are near their maximum temperature tolerance and where dryland, non-irrigated agriculture predominates-the literature suggests that yields will tend to decrease with even nominal amounts of climate change. Moreover, the adaptive capacity of less-developed countries in the tropics is limited by financial and technological constraints that are not equally applicable to more temperate, developed countries. ​​This would increase the disparity in food production between developed and developing countries. ​​For global warming greater than 2.5°C, Chapter 5 reports that most studies agree that world food prices-a key indicator of overall agricultural vulnerability-would increase. ​​Much of the literature suggests that productivity increases in middle to high latitudes will diminish, and yield decreases in the tropics and subtropics are expected to be more severe (Chapters 5 and 19). These projections are likely to be underestimates, and our confidence in them cannot be high because they are based on scenarios in which significant changes in extreme events such as droughts and floods are not fully considered or for which rapid non linear climatic changes have not been assumed (Section 2.3.4 notes that vulnerability to extreme events generally is higher than vulnerability to changing mean conditions).